The boys of MF House hold an annual fundraising night for the Blackpool based charity, Donna’s Dream House, with a MAD Night of entertainment. The night requires hours of preparation around the already full academic and activity schedule of each MF student. From the first day of term in September to moments before the curtains open on show night every MF boy works hard to perfect their performances. Saturday evening marked the 10th year of MF MAD Night. Hosted by MF Houseparent Mr Krishnan Pillai and friend of Rossall, Mr Andy Mitchell, the pair delivered plenty of laughs in a night packed with music, comedy and dance. Each member of MF House displayed their talents, and team bond, in impressive group numbers; some even stepping out alone to perform in front of the two hundred strong crowd. Zac Crowe impressed with a great rendition of ‘You’ve Got a Friend in Me’ from Toy Story on the grand piano. Aurelien Delpy presented a very creative version of the fan-favourite Carpool Karaoke, complete with cardboard cut-out car and an array of celebrity guests. 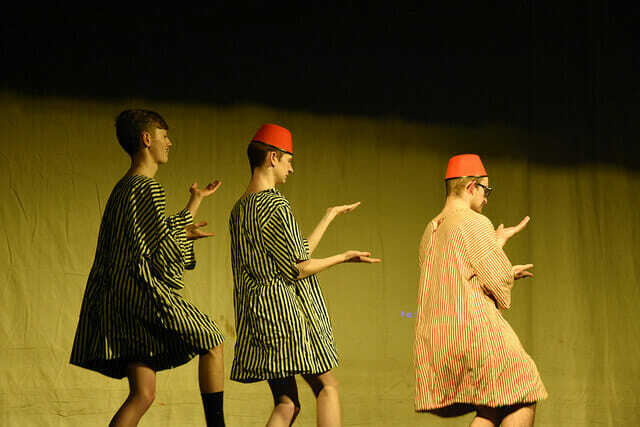 Alfie Ellis, Jack Williams and Max Heywood revived old favourite ‘The Sand Dance’ much to the enjoyment and amusement of the audience. 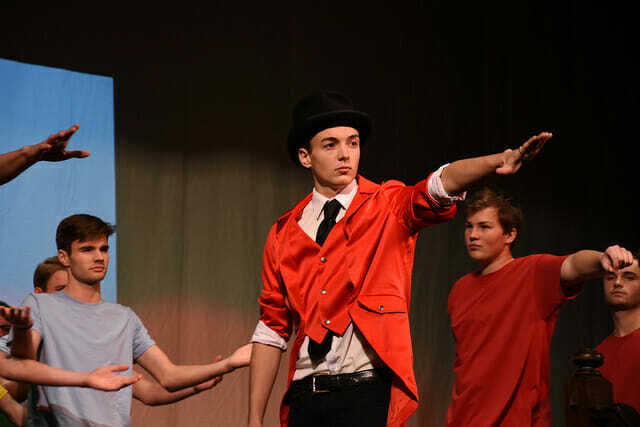 But it was the all-house performances that stole the show, opening the night with a roaring interpretation of ‘The Greatest Showman’ and concluding with a group dance to a melody of popular tunes. Since 2008 MF House have raised over £30,000 for Donna’s Dream House, the boys of MF plan to continue this house tradition and raise much more for this worthy charity in the years to come.